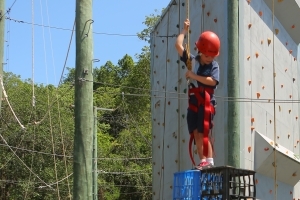 Check Out All Of The Adventure Tours! Step beyond your comfort zone! Explore our caves, tunnels and shafts the adventurous way, squeezing through Fat Man’s Misery and taking the Commando Crawl. Enjoy a rewarding finish, climbing to the surface ridge for panoramic views and cool breezes. Bookings essential. Minimum age 16 years old. Minimum group size is 2. Enclosed footwear essential. Helmets, lights and overalls provided. 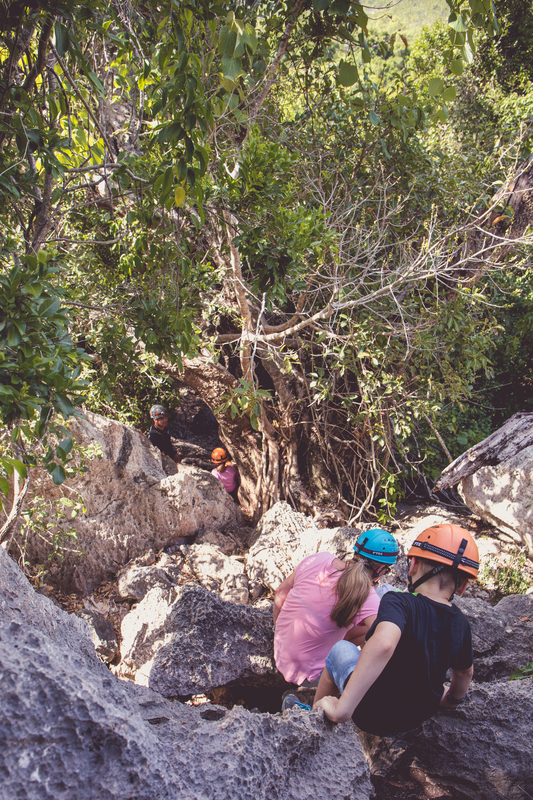 Take your children on the adventure of a lifetime. 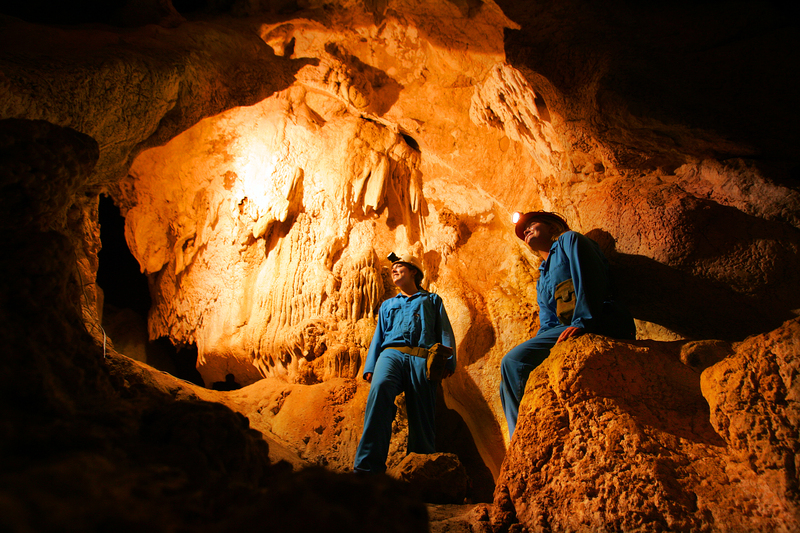 Adventure caving is an exciting and memorable way to reconnect with family, while exploring the wonders of our fragile cave environment. Perfect for generation Z and a unique way to celebrate a birthday. Bookings essential. Minimum age 5 years old. Minimum group size of 3 (2 adults, 1 child) and maximum of 15. Enclosed footwear essential. Helmet supplied. Long pants and long-sleeved shirt recommended. 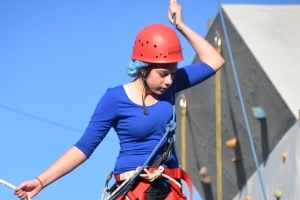 This one is for extreme adventure seekers! 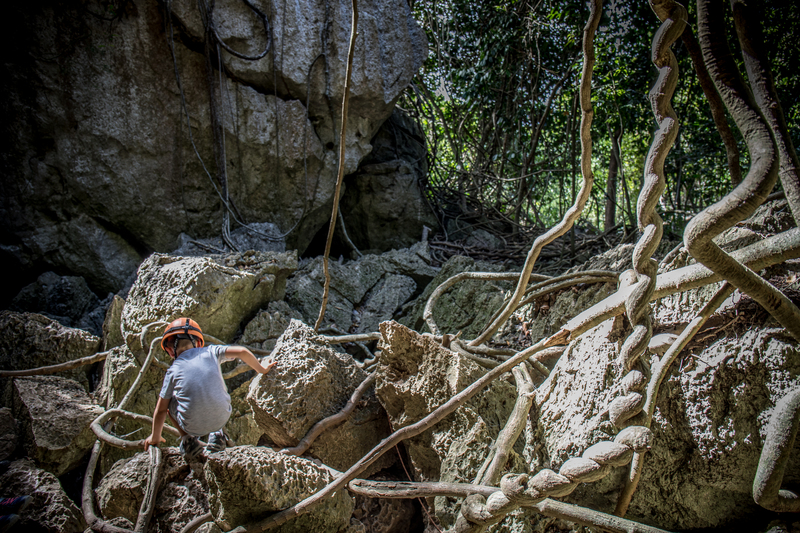 Feel the thrill of dropping 30m over a natural rockface into the cave below. 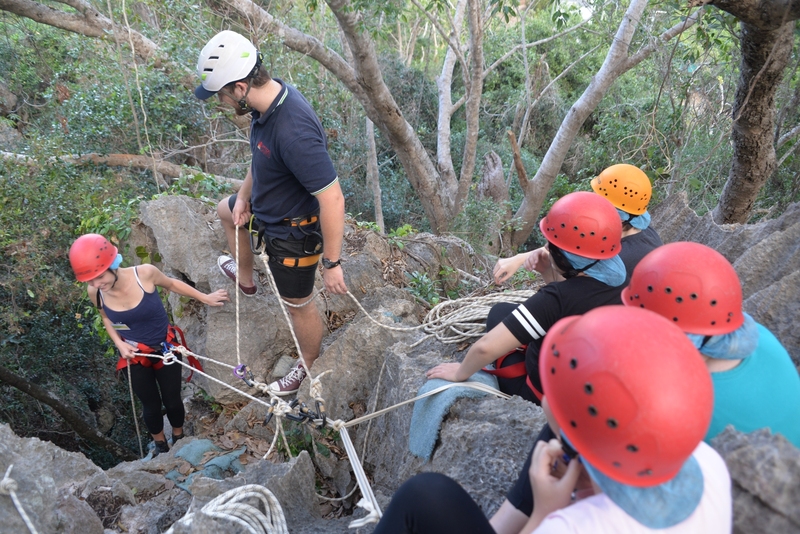 Our guides are also very supportive of beginners, offering an easy descent to gain skills and confidence. Popular with small groups of mates and corporate teams. Bookings essential. 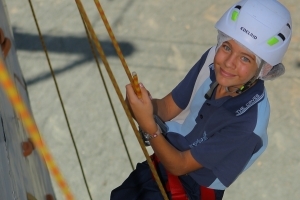 Minimum age 12 years old (children must be accompanied by an adult). Minimum group size of 2 and maximum of 15. Enclosed footwear essential. Sunscreen and water recommended. Helmet and equipment supplied. 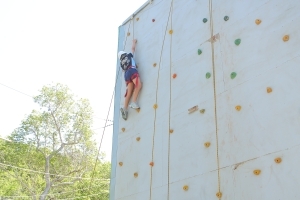 Our towering 8m climbing wall with 3 faces, 15 different climbs and overhangs is a challenge not to miss! There’s a route to suit every age and ability. For some it’s a race to the victory bell and for others it’s a chance to feel a lasting sense of achievement. Ideal for youth groups, social occasions and corporate activities. Enclosed footwear essential. Sunscreen and water recommended. Helmet and climbing gear supplied. 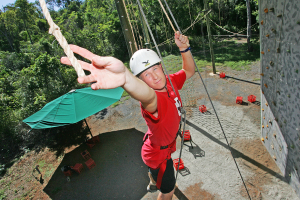 Our course offers 7 challenging elements and an awesome 30m flying fox dismount. 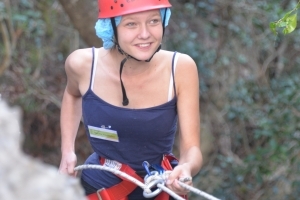 You are in the hands of your trained support team as you balance on a tight-rope 8m above the group. Very popular with high school camps and corporate teams. Group bookings only. Minimum age 12 years old. Enclosed footwear essential. Helmets and safety ropes provided.